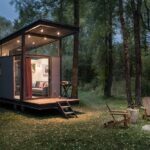 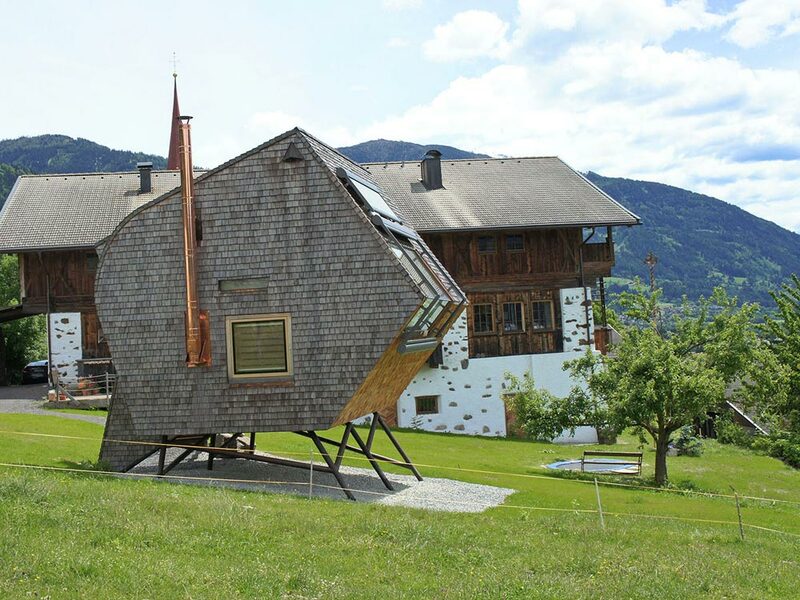 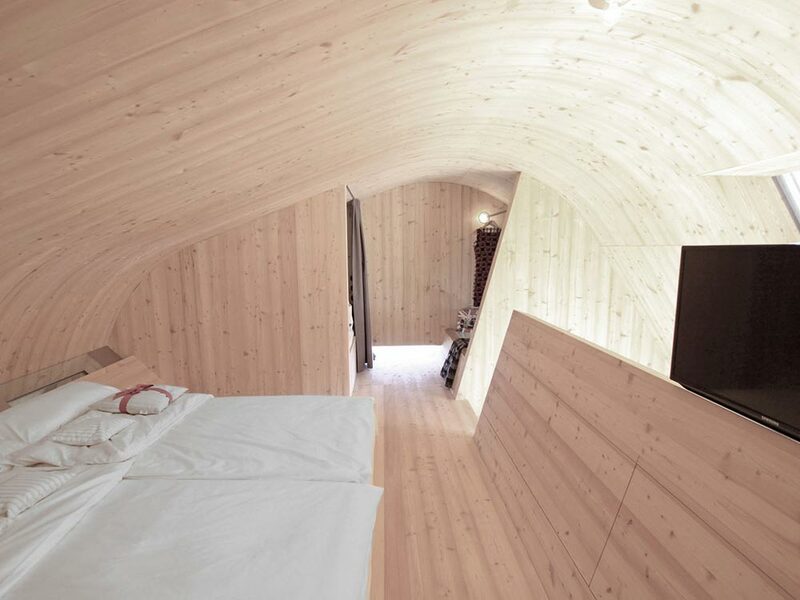 Located in Debant, Austria is the Ufogel Tiny House. 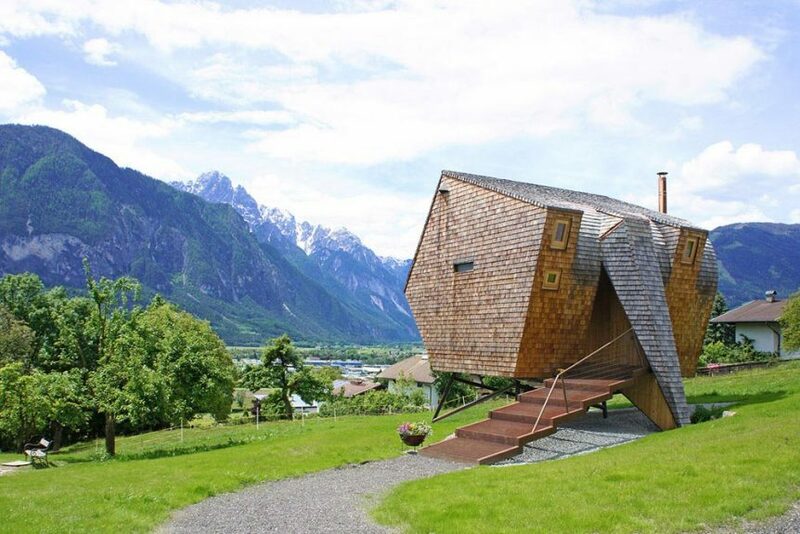 Built on stilts and floating above a meadow, the modern cabin gets its name from its extraterrestrial resemblance. 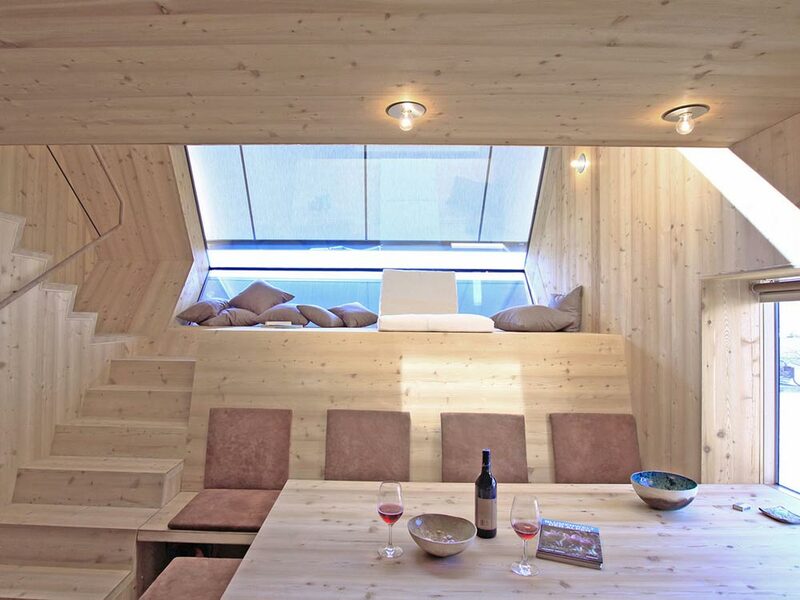 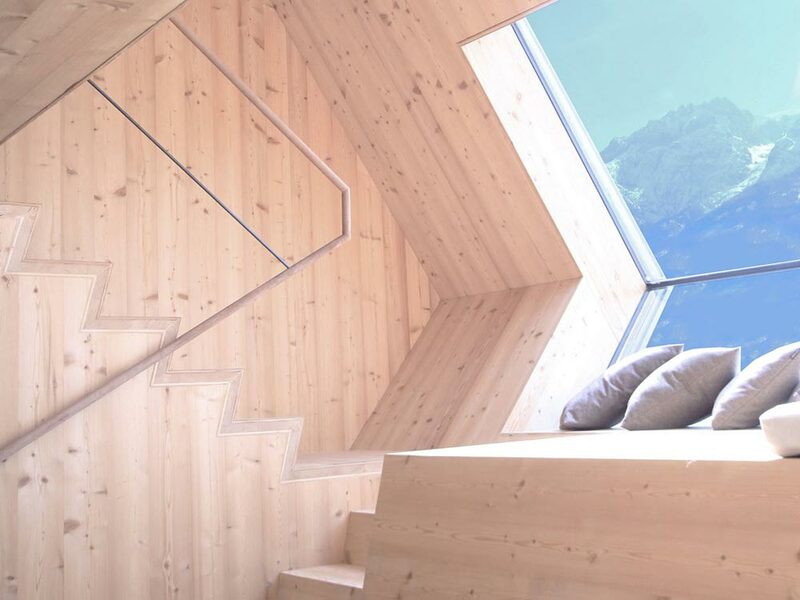 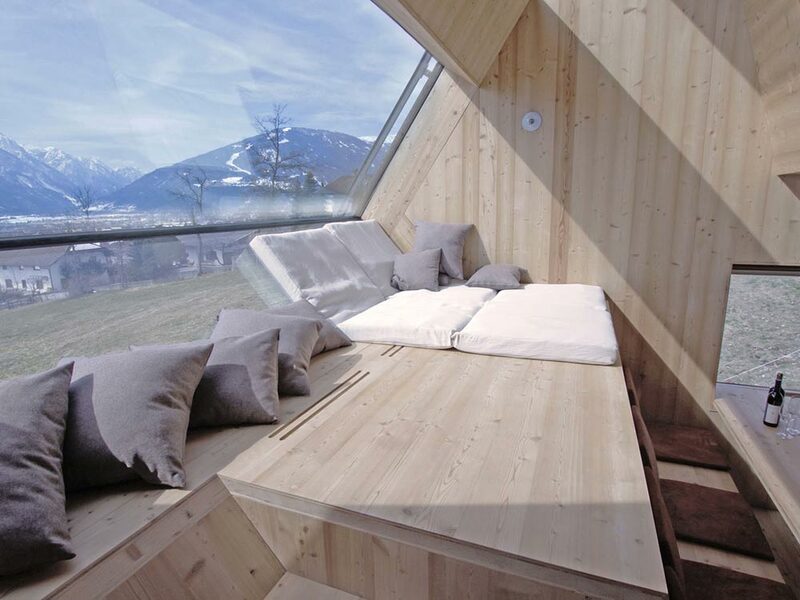 A panoramic window offers a stunning view of the Lienz Dolomites. 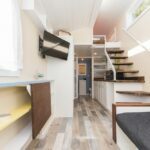 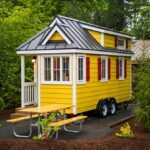 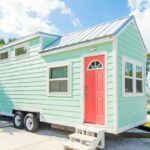 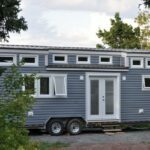 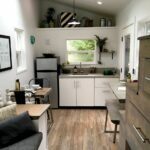 The two story house has a compact footprint while offering 485-square-feet of living space. 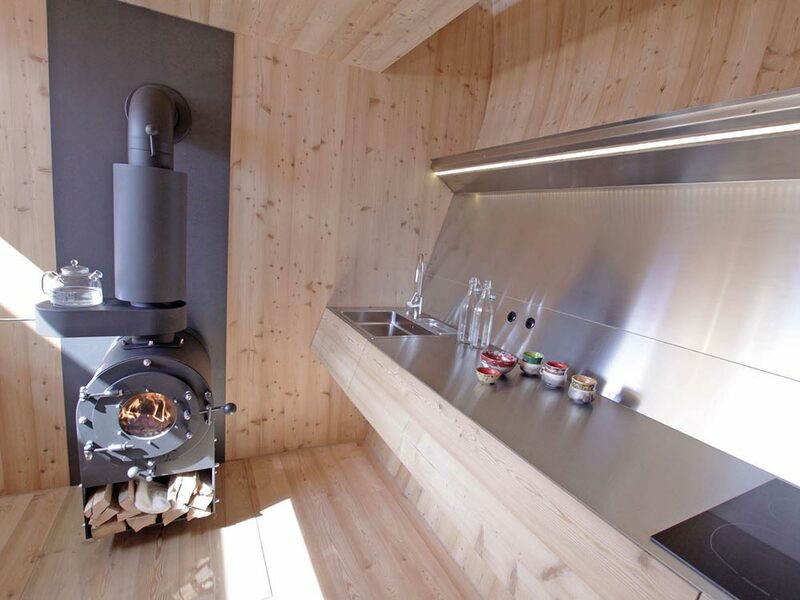 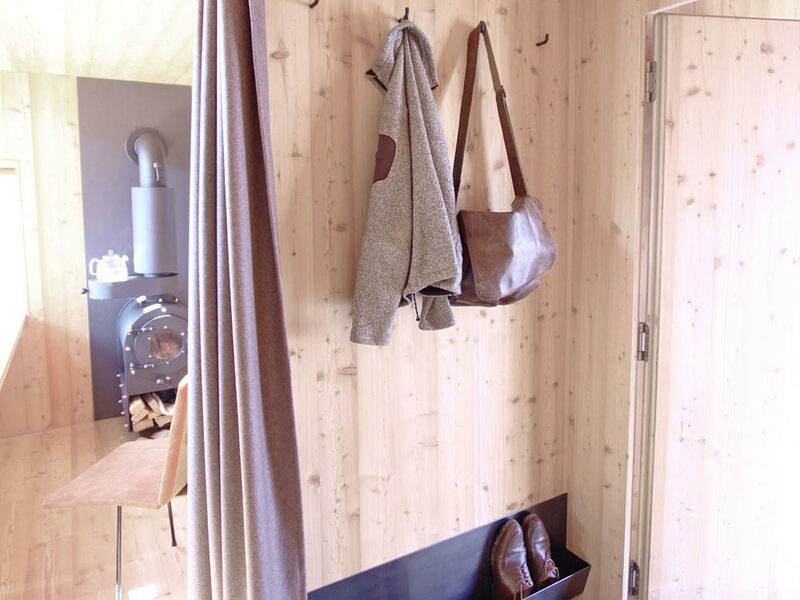 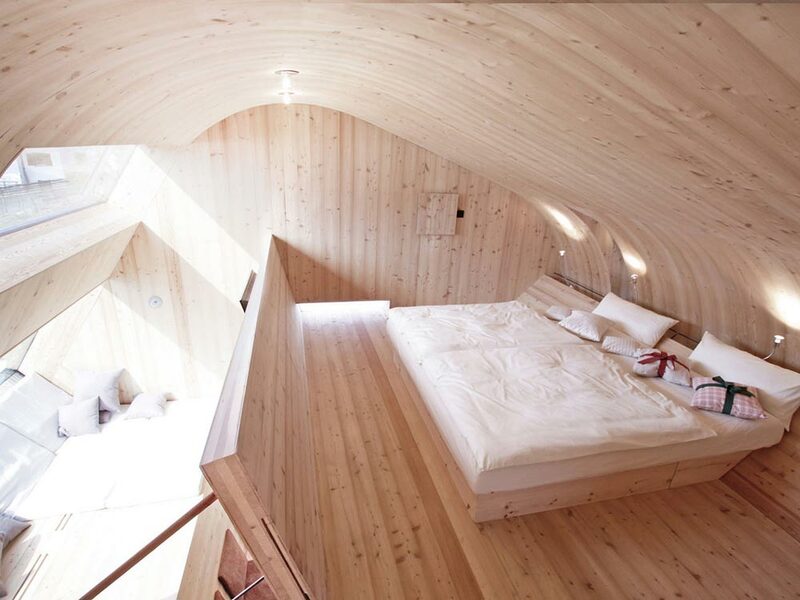 The curved timber structure is built out of larch wood, creating a cozy cabin ambiance along with the wood stove. 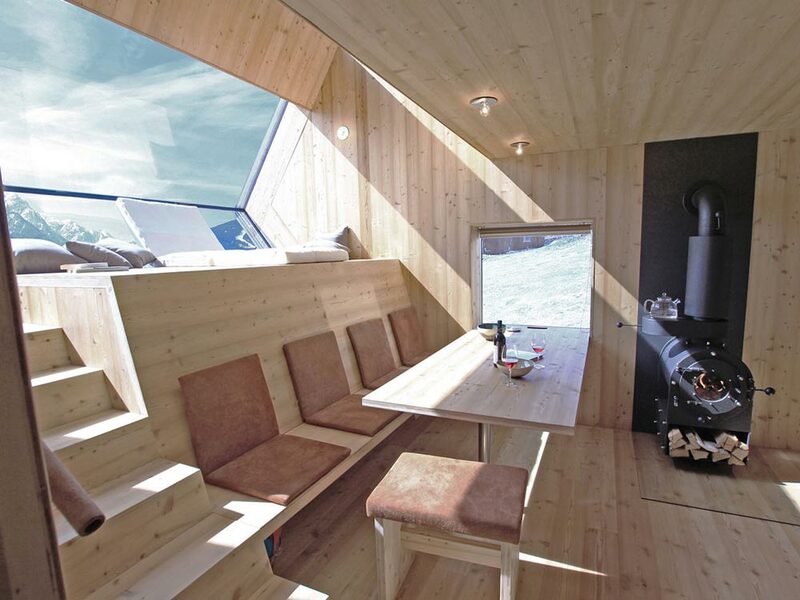 The main living area includes a cantilevered table that can accommodate eight people, a nook to relax and enjoy the panoramic view, and a kitchenette with sink, electric cooktop, and refrigerator. 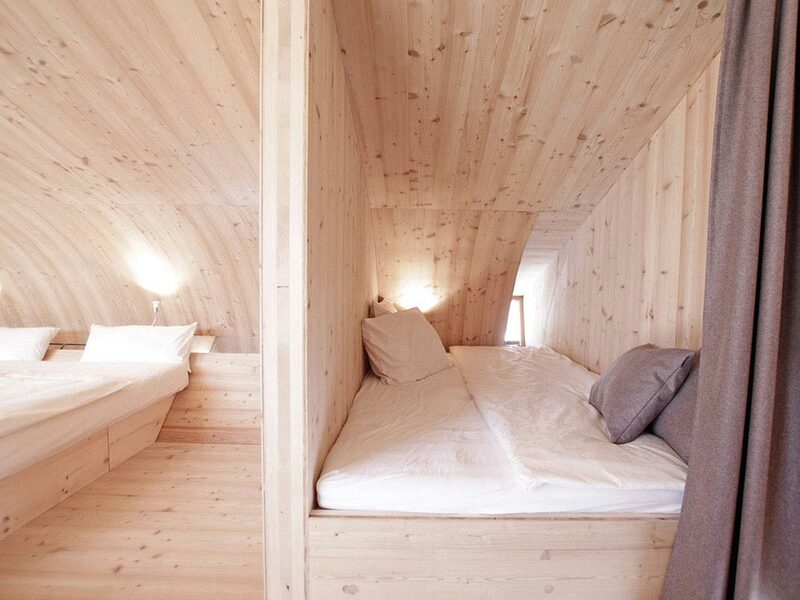 The bedroom has a double bed plus a separate area for kids. 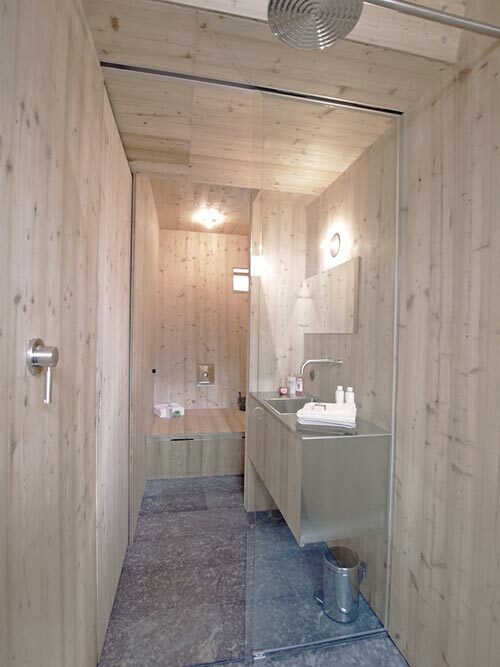 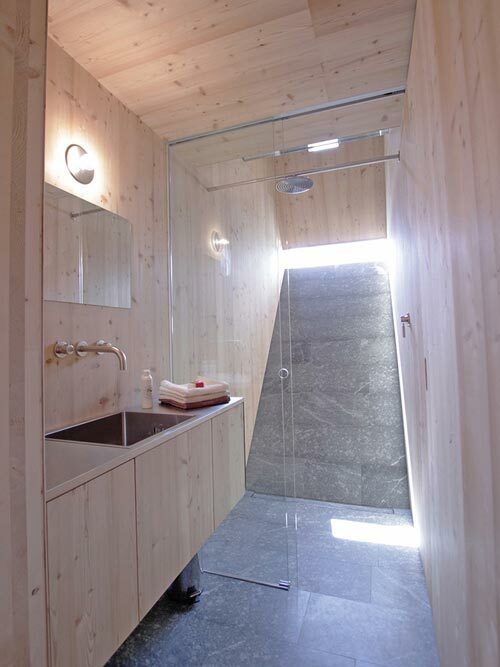 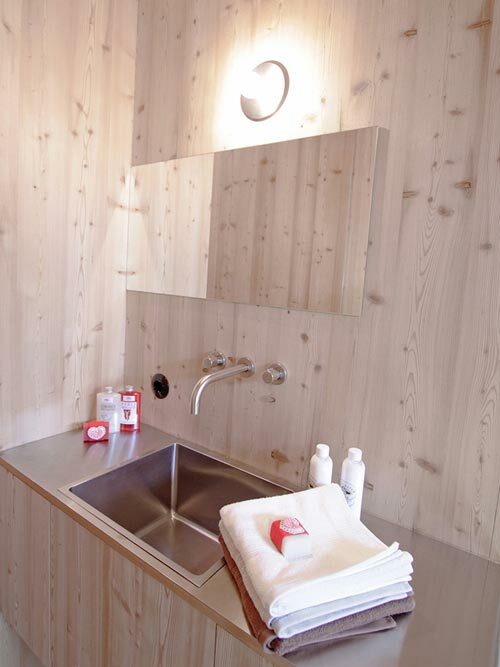 The bathroom has a tile floor, glass shower door, and a view overlooking the mountains of East Tyrol. 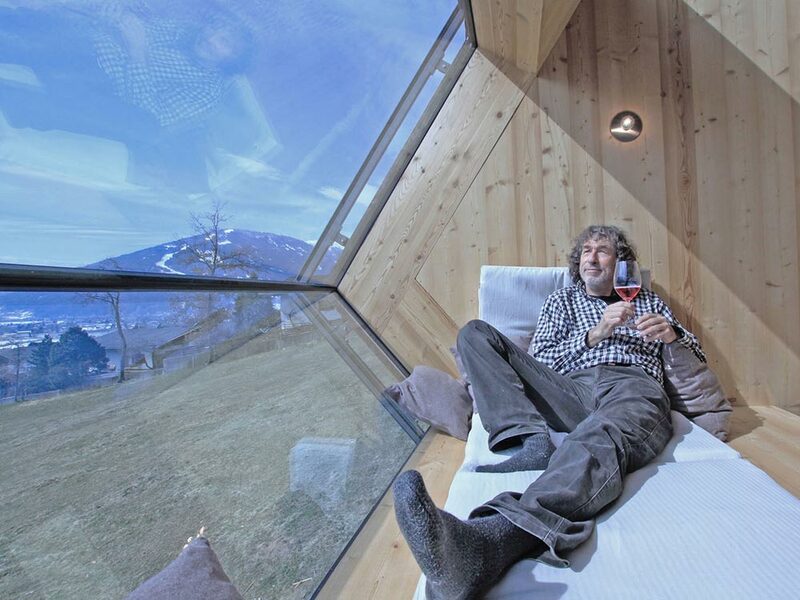 The Ufogel is available for nightly rental starting at €150. 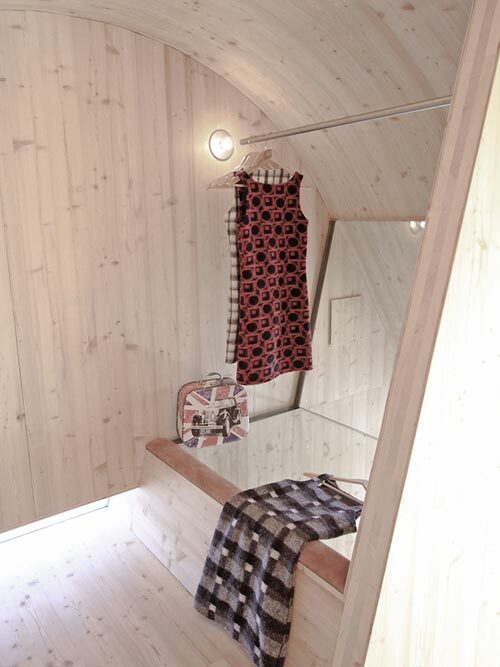 You can visit their website for more information, including prices and availability.